Another dreadfully cold evening in the Triboar woods, outside Neverwinter has you bundled up in furs around the campfire. At peace you are all recounting the treacherous journey you have been on when the mood of the evening suddenly changes. “Sat with the legendary Frostbrand sword across your lap, mesmerised watching the dancing flames you fail to notice the hidden group of Goblins that had been drawn to the enticing smell of hot stew. 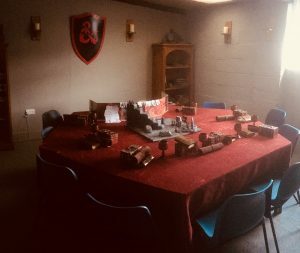 It is not uncommon to hear me, ‘The Dungeon Master’, say things like this while playing or observing a reward session of Dungeons & Dragons, and with the completion of the newly dedicated Dungeons and Dragons room I wanted to take a bit of time to explain some of the benefits of the game. D&D is not just a role-playing game, I use it as an educational tool that the pupils really respond to. D&D helps the players build academic skills like reading and writing, basic mathematics, critical thinking, problem solving, and teamwork. It promotes the skills that any educator strives to teach and build in young people. During the sessions each pupil assumes a role of a character of their own creation. They use it to explore the world and there are all kinds of fantastic creatures, not to mention magic, to keep them occupied. 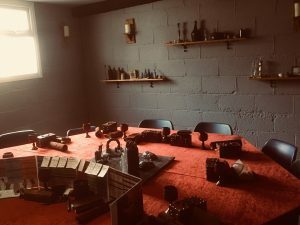 The size of the game depends on the limit of your imagination and that of the Dungeon Master and the stories vary greatly from one another. A farmer can approach the pupils and ask for help to stop an epidemic that has been devastating his animals. A kingdom may be at risk from a political crisis. A colossal war may be about to spread along the continent or the gods themselves may be involved. What to do is in the hands of the players, otherwise known as a party. They may choose to help, ignore and even take the side of the villain. For this, dialogue and teamwork are key. The pupils have to communicate amongst themselves both as players and as characters, as this is the best way to reach a consensus for each situation. This is how D&D can assist pupils with Autism Spectrum Disorder. This dialogue mechanic of D&D is an excellent tool for our pupils with ASD and social anxiety needs. It can helps them create a safe environment to practice social skills and since it is in the context of a game it is a lot less stressful for them. It’s a fantasy environment made by and for players where they explore the world with characters they create using imagined perspectives. 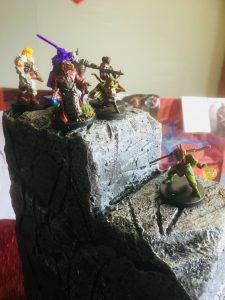 Our players can explore what having those traits would be like which encourages empathy, alongside dealing with conflicts and mistakes that could leave their character or another party member wounded or worse. Yet, nothing is actually lost. The world is still there waiting. It’s a game that is easy and fun to get into and can leave a lasting impression on the players. The experiences created in the game are unique memories that players can bond over. It is the perfect environment for someone with autism to perfect their social interaction. When things go wrong and the character dies it is only a minor inconvenience. After creating a new character the player returns. This time they’ll be wiser, they’ll know not to get caught in the same trap twice. These games also help the players bond to each other over their shared adventures. 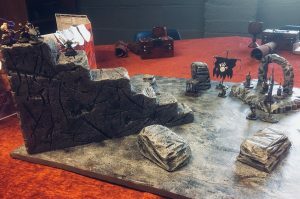 While there are no real world consequences there are real life victories and rewards with sense of enduring achievement and encouraging heroic feelings which can happen multiple times every session. Recently our group has been lucky enough to receive lots of support from social media. A safe post about the completion of our games room and how we use it for the pupils was posted to social media. It was liked by over 2000 people, and received over 500 comments of positive support and thanks for the work we are doing. Many comments coming from other players and parents of children with ASD and social anxiety from around the globe. 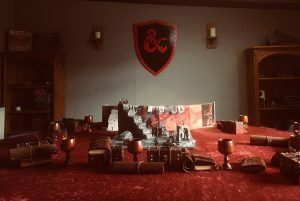 This has led to a few very kind individuals from Malibu America, wanting to find ways to support the D&D group. After a number of discussions they asked if they could sponsor the group and send through a small package to the players each month. So far they have been kind enough to send two packages, one at Christmas with a new campaign book and the other in January with a number of miniature figures for the school party to use. The pupils have responded with thank you letters and cards which included information about their characters and the adventures they have been on. 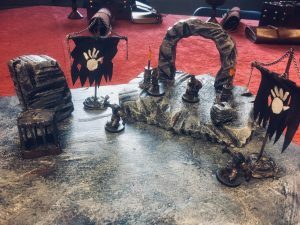 The pupils are gaining so much from the fantasy role play and escapism and it’s something I’m looking to expand on in the school next year with some of the younger primary pupils. Let’s use games and imagination to build a school of little heroes.